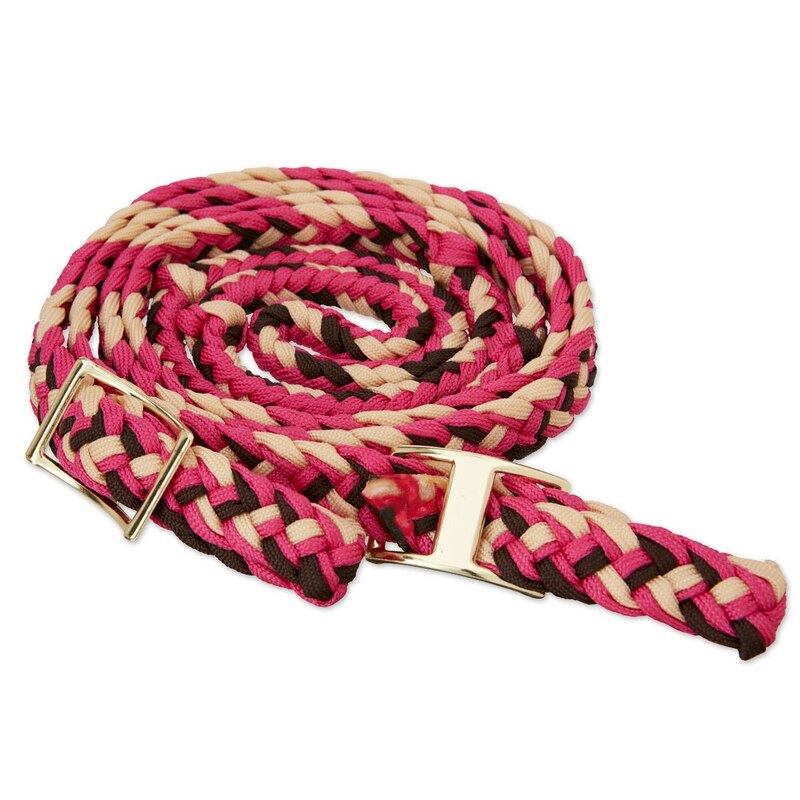 Compliment your saddles, pads, tack and accessories with these colorful functional nylon knotted reins. The knots let your hands know where they should be without looking down. 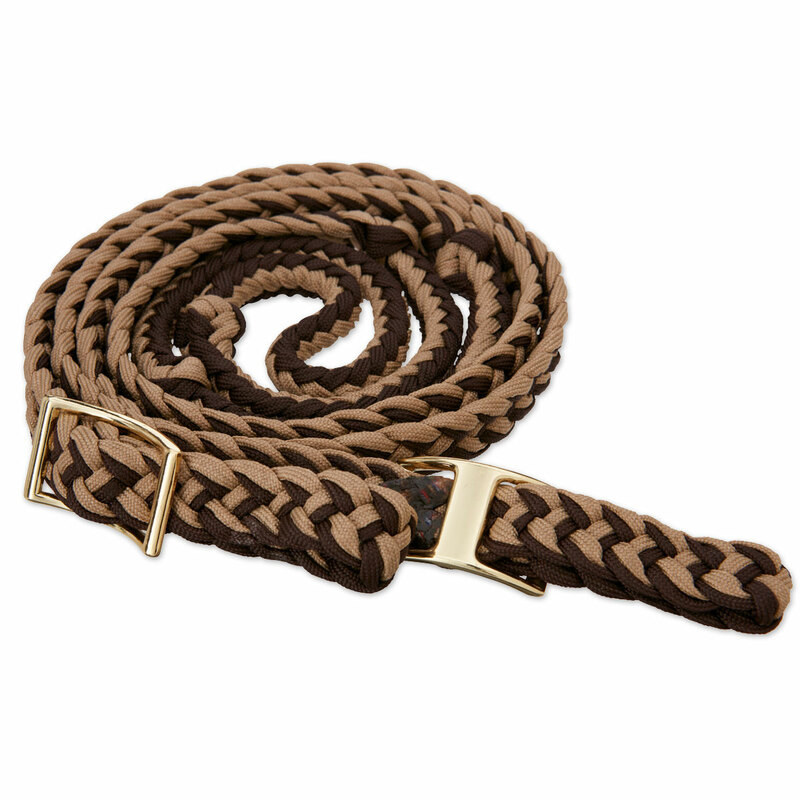 Barrel Rein – 3/4" x 8’ – Knotted with conway buckles. Reinsman Knotted Barrel Reins is rated 4.5 out of 5 by 2. Rated 4 out of 5 by Benzmom from Easy on the hands but a bit short I bought these reins primarily to help me with hand placement and they looked nice....are very nice quality but at 8' are a bit too short for my draft. Would love to see Reinsman make a 9 or 10' version. Harder to use these on the trail. 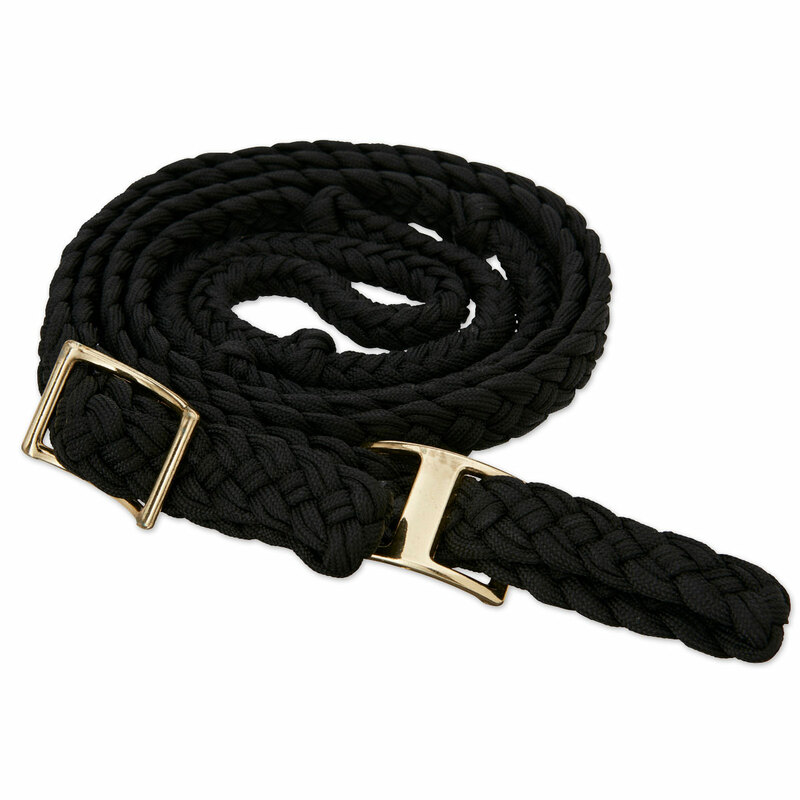 Rated 5 out of 5 by Major from Soft, easy hold We love these reins! I was afraid they would be a little hard & rough on the hands, but not at all. Allows good control & very comfortable.